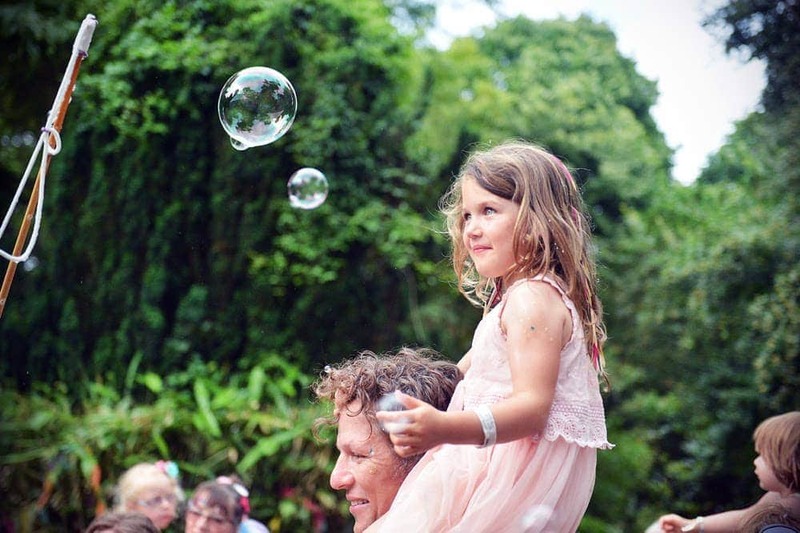 Larmer Tree Festival on the Wiltshire/Dorest border takes place in 2018 from 19th-22nd July and Larmer Tree are offering a family ticket to one Mini Travellers follower you can find out how to enter at the bottom of the post! After a year-long hiatus Larmer Tree Festival is back for its 27th year from 19th – 22nd July 2018. The event has cemented itself as one of the UK’s most loved and long standing festivals thanks to the combination of its breathtaking location, outstanding line-ups and breadth of activities on offer. With an eclectic line-up, not to mention a brilliant comedy stage with both established and emerging comedians and a plethora of family activities and more, the Festival’s reputation as being one of the highlights of the summer is well-deserved. With performances from First Aid Kit, Jake Bugg and Public Service Broadcasting, the music is not to be missed. For the kids, there’s CBeebies star Gem from Swashbuckle and presenter turned author Cerrie Burnell amongst others. 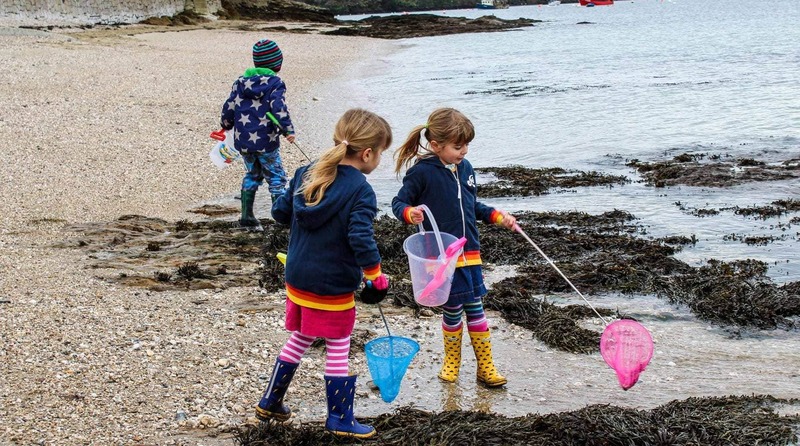 Larmer Tree Festival are proud to announce a fun-fuelled family activity schedule featuring favourite kids TV presenters, along with family games, storytelling and crafting to get the whole family involved. There is also a new wave of musicians and DJs to look forward to. 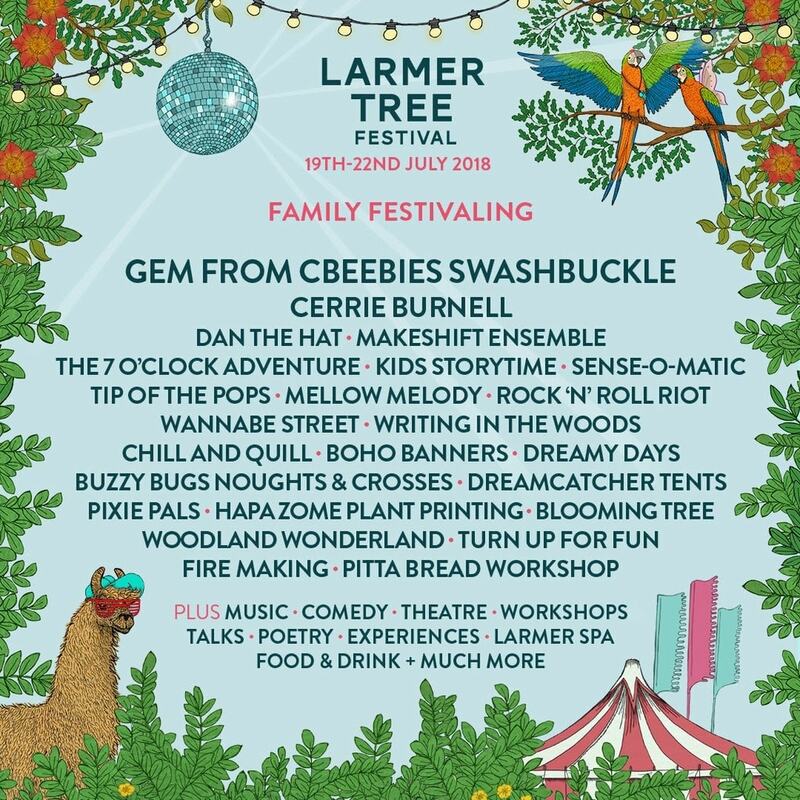 Unveiling their latest additions to the incredible line up, Larmer Tree Festival announce that Gem from hit Cbeebies show Swashbuckle,aka Gemma Hunt, will be heading down to Larmer Tree Gardens with a selection of games, fun activities and performances that children will love. CBeebies presenter, author and advocate for people with disabilities, Cerrie Burnell will be making an appearance. The fun-fuelled line up includes The 7 O’Clock Adventure, Rock ‘n’ Roll Riot, Dreamcatcher Tents, Blooming Tree and Woodland Wonderland. There’s also the chance to get involved with fire making plus more pop up theatre and fun. The new acts will be joining the previously announced Dan the Hat, MakeShift Ensemble and Wannabe Street. Older children have the chance to meet artist Talia Randall in her Poetry Workshop, try Slacklining with Ru_Slack, see hilarious theatre by Living Spit or get involved in workshops including Argentine Tango, writing in the woods and an array of free craft workshops including Spin-a-mation and Wonderous Wings. Joining the likes of First Aid Kit, Jake Bugg and Public Service Broadcasting are Indie-pop stars Arcade Hearts, band winners of Larmer Tree’s Breakthrough Music Awards. Laura Goldthorp, winner of the solo artist competition will also be taking to the stage, bringing her unique blend of acoustic, jazz-tinged melodies. Yazmin Lacey will be making an appearance, and has been recognised as one of the most soulful breakthroughs of this year. She’s joined by blossoming jazz stars, Feelgood Experiment, and singer-songwriter Chaouche. There are also performances by Port Erin, Easy Life, AK Patterson, and Harvey Causon among others. The Village Inn stage is also proud to announce a selection of artists including Cash Converted, Noah’s House Band and Guns of Navarone. DJ-wise, expect performances from The Alleries, Max and DJs from We Like to Party, who will be wrapping up the end of Festival party. There’s also the chance to get down at the Discotheque, with acts to be announced. Larmer Tree Gardens is set on the border of Dorset and Wiltshire and offers the perfect getaway from the city. Also new to 2018, the Festival will see the exciting addition of the Larmer Spa, where Festival-goers will be able to unwind through the day and evening with indulgent hot tubs, a sauna yurt, and a Bedouin chill out lounge nestled deep in the woods. Larmer Tree Festival offers a truly unique and immersive experience with an incredible curation of music, comedy, performance art and activities to delight Festival-goers of all ages, and creativity around every corner. The forward thinking programming and innovative, diverse selection of acts at this incredible event undoubtedly make the long awaited return of Larmer Tree Festival unmissable. 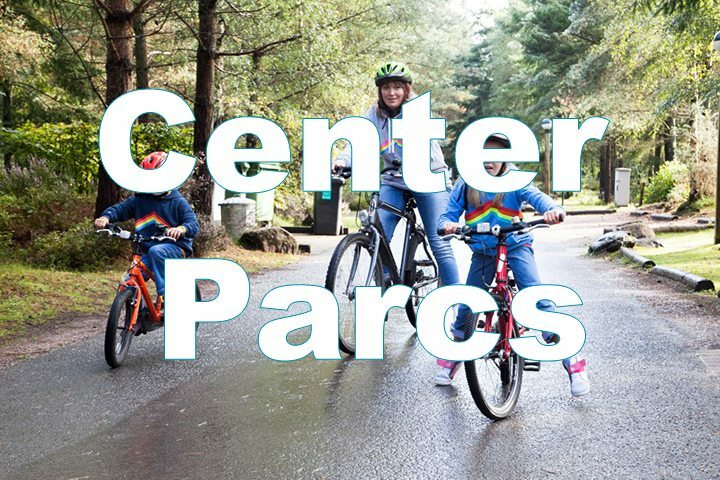 Why not enter to WIN a Family Ticket below! Please do read the Terms & Conditions of entry first though. Weekend family ticket for Larmer Tree Festival on 19th-22nd July 2018 (2 adults and 2 children under 10). Travel to/from the festival, accomodation, food/drink, not included. Weekend ticket holders must bring their own tents for camping (at no additional charge) or book boutique camping experiences or off-site accommodation separately through the Larmer Tree website. Tickets must also be purchased separately to bring a camper van/caravan/live-in-vehicle on-site. Entrants must be 18+. Prize is non-refundable, non-transferable, non-exchangeable and no cash alternative offered. Previous Post Mini Travellers is Four Today! I would take my husband and 2 sons to the festival! I’d take the family, looks great. I would take my husband and our 2 grandchildren. I would gift this to my sister / nephew who would love to go.